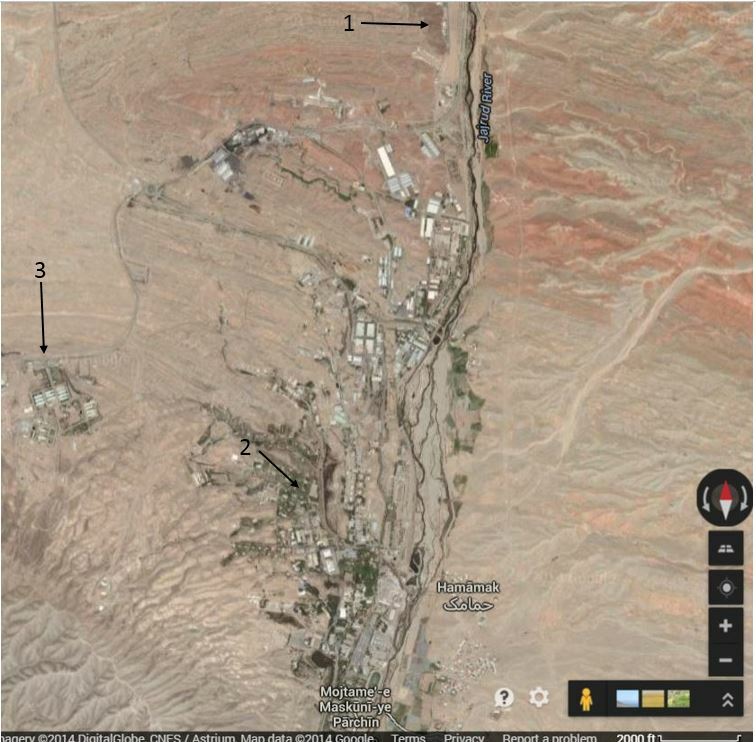 At long last, a conspiracy theory on Iran’s Parchin site has surfaced that is too crazy to have come from David Albright and his merry band at the Institute for Science and International Security. Recall that Iran has played the ISIS folks expertly on Parchin, giving them a series of interesting things to look at in satellite images of the site. Iran’s manipulations hit their high point when they covered a number of buildings in pink tarp, provoking an especially cute level of concern over just what those tarps might be hiding. The folks at Debka.com, though, have put themselves firmly into the position of world leaders when it comes to Parchin conspiracy theories. You remember the Debka folks, they are the ones who initially claimed that Israel’s Iron Dome had successfully shot down two incoming missiles when it turns out that the explosions that were heard were actually just Iron Dome misfiring in the absence of any incoming fire earlier this month. But only on the face of it: This scenario ignore Tehran’s duplicity and conveniently passes over the sudden spurt in Iran’s production of low, 5-percent grade enriched uranium and the covert smuggling of the surfeit to the Parchin military facility of near Tehran for its secret upgrade to 20 percent, a level which can be rapidly enriched to weapons grade. So with one hand, Tehran has reduced its low-grade enriched uranium stocks, but with the other, has smuggled a sizable quantity of those stocks for further enrichment to a facility barred to nuclear watchdog inspectors. DEBKAfile’s intelligence sources reveal that 1,300 kilos of low-grade material has been transferred to Parchin and 1,630 advanced centrifuges have been installed there for rapid upgrade work. Okay, then. Even though every single report from the IAEA has shown that every bit of uranium enriched by Iran has been accounted for and that none has been diverted (see this article from 2012 fear-mongering that grudgingly admits no diversion of material), Debka now wants us to believe that since Iran is removing its stock of 20% enriched uranium, it is doing so as a way to hide their diversion of over a ton of uranium that has been enriched to 5%. Oh, and at the same time, they have secretly installed 1630 centrifuges at Parchin. But then the Debka conspiracy really starts to fall apart. It appears that they are only claiming that Iran will use these 1600 secret centrifuges to enrich the 5% uranium to 20%, rather than taking it to weapons grade of more than 90%. If we use the standard figures of approximately 25 kg of weapons grade uranium for one bomb and the numbers in this article (where one ton of natural uranium feed leads to up to 130 kg of 5% uranium and then 5.6 kg of weapons grade material), then 1300 kg of 5% uranium could be enough for two bombs. It’s a good thing Debka is only claiming that conversion from 5% to 20% enrichment would be carried out with these secret centrifuges at Parchin, because getting to weapons grade with so few centrifuges in any sort of reasonable time frame is problematic. 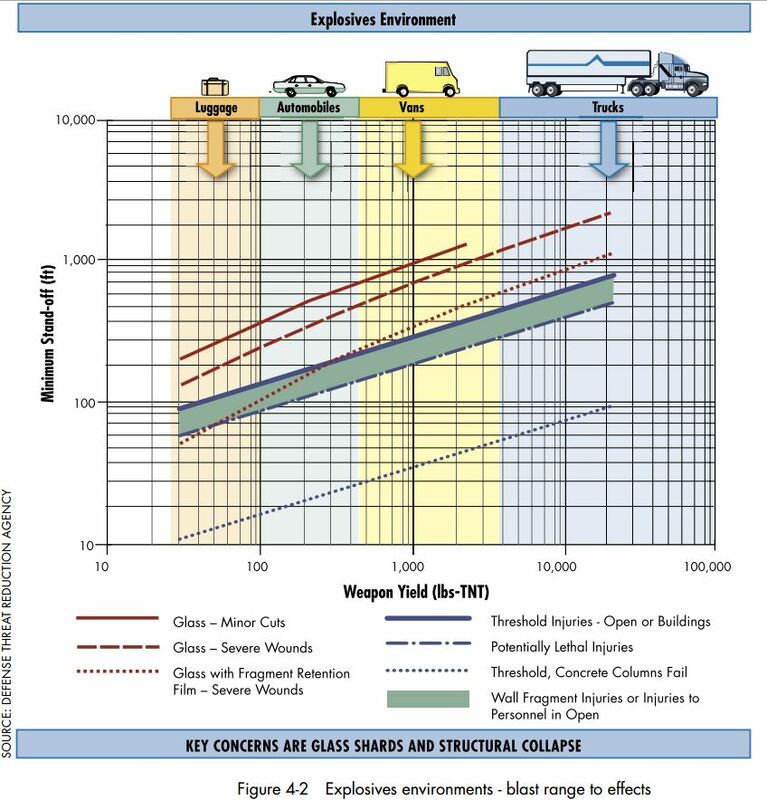 If we consult this document from Albright’s group, Figure 1A (on page 5 of the pdf), we see graphs for the amount of time needed to get to 25 kg of weapons grade uranium under scenarios of various numbers of centrifuges and various amounts of 20% enriched uranium. With Debka’s new conspiracy, if they were positing breakout to weapons grade, then we need to start at zero 20% uranium available and look between the 1000 and 2000 centrifuge scenarios. For 1000 centrifuges, ISIS calculates just over 24 months to produce one bomb’s worth of material, while for 2000 centrifuges, that time drops to 14 months. Interpolating for 1600 centrifuges would give us about 20 months of secret work with these 1600 secret centrifuges using 1300 kg of material secretly hidden from a previously perfect mass balance of Iran’s enrichment work. https://www.emptywheel.net/wp-content/uploads/2016/07/Logo-Web.png 0 0 Jim White https://www.emptywheel.net/wp-content/uploads/2016/07/Logo-Web.png Jim White2014-04-21 11:13:392014-04-21 11:13:39Latest Parchin Accusation: Centrifuges! Sadly, Fredrik Dahl and Reuters have broken the silence from those who want to disrupt talks, but even within this blatant attempt to derail negotiations, there are elements of hope. Dahl has granted anonymity to “sources” who tell him that the IAEA last year considered putting together a new report on Iran’s nuclear activities similar to the annex included in the 2011 report that prompted much controversy. After making only vague hints about what sort of evidence might have been in the report, Dahl then goes on parrot the sources in saying the IAEA chose not to issue the new report because of warming relations between Iran and the negotiating countries. He also states the IAEA had no comment, but he completely ignores the likelihood that the IAEA did not provide the new report because the “evidence” in question was found not to be credible. Dahl and Reuters completely ignore the history of known false information being supplied to IAEA and the ongoing process of new bits of information from the “laptop of death” being leaked by the sources in question. The U.N. nuclear watchdog planned a major report on Iran that might have revealed more of its suspected atomic bomb research, but held off as Tehran’s relations with the outside world thawed, sources familiar with the matter said. Such a report – to have been prepared last year – would almost certainly have angered Iran and complicated efforts to settle a decade-old dispute over its atomic aspirations, moves which accelerated after pragmatic President Hassan Rouhani took office in August. There was no immediate comment from the IAEA. The sources said there was no way of knowing what information collected by the agency since it issued a landmark report on Iran in 2011 might have been incorporated in the new document, although one said it could have added to worries about Tehran’s activities. Dahl relies completely on his sources saying that the IAEA chose not to issue the report so as not to anger Iran without considering that the IAEA very likely found the “new” information to be neither new nor credible. Today, the IAEA has confirmed that Iran has discontinued enrichment of uranium to 20%, and has complied with the additional steps required at the beginning of the historic agreement between Iran and the P5+1 group of nations. By implementing the interim agreement, Iran has triggered the start of the six month period for negotiation of a final agreement that will be aimed at providing verifiable assurance that Iran does not seek to develop a nuclear weapon. Iranhas halted its most sensitive nuclear activity under a ground-breaking deal with world powers, a confidential U.N. atomic agency report reviewed by Reuters on Monday showed, paving the way for the easing of some Western sanctions. Western states were expected to ease sanctions later on Monday after the United Nations nuclear watchdog confirmed Iran is meeting its end of the bargain under a November 24 interim accord to resolve a decade-old dispute over its nuclear program. Inspectors from the International Atomic Energy Agency, the United Nations’ nuclear watchdog, arrived in Tehran two days ago to begin validating the deal, Ali Akbar Salehi, the head of the Atomic Energy Organization of Iran, said in a statement reported by the state-financed broadcaster Press TV. Ali Akbar Salehi, the head of Iran’s Atomic Energy Organization and a former foreign minister, said in an interview on state television Monday that the deal with world powers over Iran’s nuclear activities was a victory for the Islamic republic. Salehi, who holds a doctorate in nuclear engineering from the Massachusetts Institute of Technology, said Iran does not need to continue the 20 percent sensitive uranium enrichment program to maintain what he said are his country’s peaceful nuclear activities. The deal allows Iran to continue enriching uranium to 5 percent. “Now the iceberg of sanctions is crumbling while our centrifuges are still also working. This is our greatest achievement,” he said. “The Agency confirms that, as of 20 January 2014, Iran … has ceased enriching uranium above 5 percent U-235 at the two cascades at the Pilot Fuel Enrichment Plant (PFEP) and four cascades at the Fordow Fuel Enrichment Plant (FFEP) previously used for this purpose,” its report to member states said. 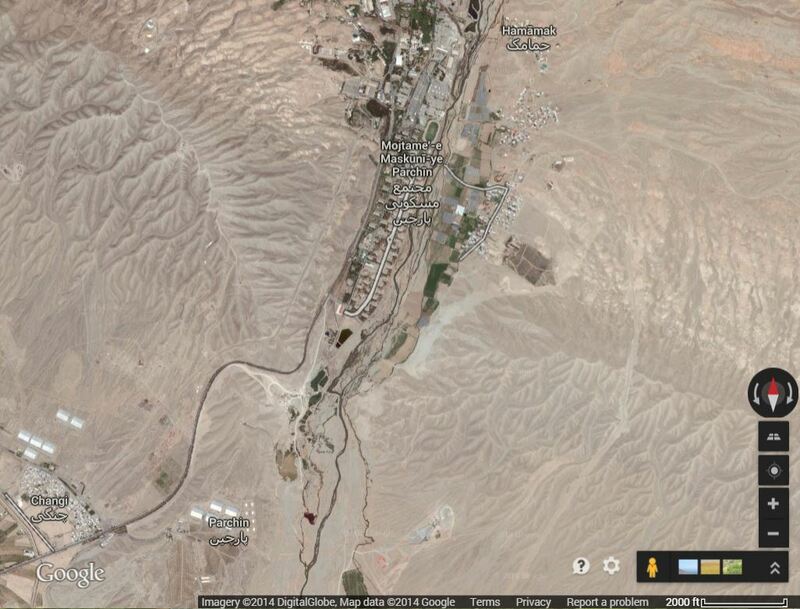 It was referring to Iran’s two enrichment plants, at Natanz and Fordow. Cascades are linked networks of centrifuge machines that spin uranium gas to increase the concentration of U-235, the isotope used in nuclear fission chain reactions, which is found in nature at concentrations of less than 1 percent. Iran now stands to reap about $7 billion in sanctions relief that will phase in over the coming six months, provided that negotiations continue and that Iran continues to adhere to the terms of the interim agreement. War mongers and backers of Israel are distinctly unhappy, but at least for now, peaceful negotiations have taken major steps toward making the world a safer place.